Once a month from September to April, a sea breeze blows on Cargobar. Markus, a Basler living in Paris, comes back to his hometown with crates filled in with oysters. During two evenings – every first Wednesday and Thursday of the month- he cracks open hundreds of bivalves, delighting Cargobar regulars. Fresh oysters are directly imported from Ile d’Oléron, world famous region in Brittany where oysters still naturally thrive. They are served the French way, raw in their shell with a squeeze of lemon. 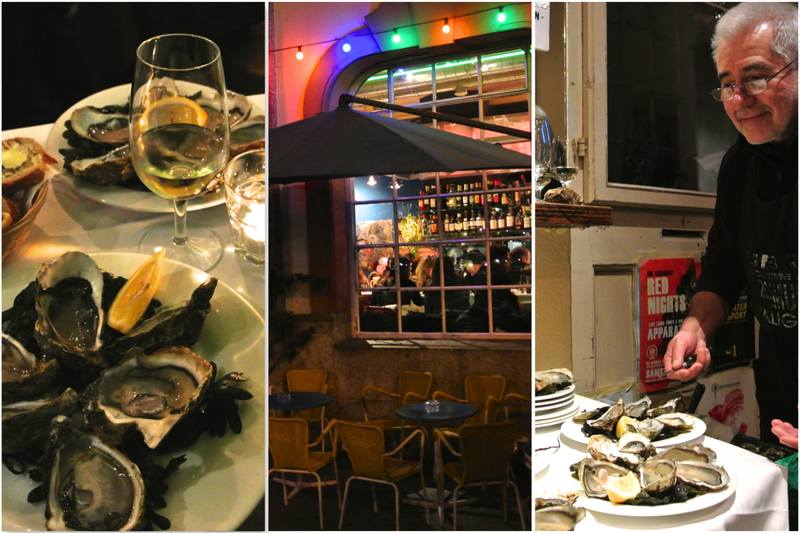 They also come with a glass of Muscadet sur Lie de Loire and fresh bread with salted butter – to die for! Markus and his oysters will be back in Cargobar on September 5th and 6th,2018. Mark your calendar, you don’t want to miss this! Oysters will be served from 6 to 8pm, while supply lasts. Testé et approuvé;-) Une ambiance de vacances garantie!! !